A new proposal for the cessation of hostilities in Yemen was announced on October 16 amid an escalation in United States bombing operations against the most impoverished nation in the Middle East. U.S. Secretary of State John Kerry, British Foreign Secretary Boris Johnson and United Nations envoy to Yemen, Ould Cheikh Ahmed of Mauritania, issued the call during a break from discussions in London centered on the current situation in Syria. 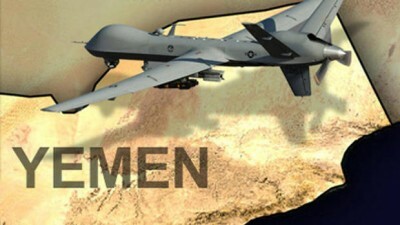 In response to the failure of Washington’s policy in Yemen where in the aftermath of the withdrawal of diplomatic personnel and Special Forces in March 2015, the Saudi Arabian and Gulf Cooperation Council (GCC) coalition launched an aerial campaign and ground conflict which lead to the deaths of approximately 10,000 people, the injuring of tens of thousands more and the displacement of several million. President Barack Obama’s administration has sold $110 billion in weapons to Saudi Arabia in addition to authorizing the use of U.S. manufactured warplanes, bombs, intelligence coordination and refueling technology which created one of the worst humanitarian disasters in the world today. The Saudi-GCC Coalition claims that it is assisting the “legitimate” government of President Abd-Rabbu Mansour Hadi which was ousted by an alliance of Yemeni forces including the Ansurallah (Houthis) working in conjunction with military units still loyal to the former President Ali Abdullah Saleh. The Ansurallah is said to be assisted politically by the Islamic Republic of Iran. Opening a broader phase of the war, a U.S. Navy Destroyer admitted to firing tomahawk missiles aimed at disabling radar sites controlled by the Ansurallah on October 12. These actions and subsequent hostile military operations are heightening tensions throughout the entire region. Ansurallah leaders have denied firing missiles at US Navy Destroyers contradicting the Pentagon claims. The Guardian newspaper in London reported on the Pentagon attacks warning of a potentially deeper quagmire on the part of the U.S. Although this is by no means the first attacks by the Pentagon and the Central Intelligence Agency (CIA) against people deemed as terrorists in Yemen, the character of the recent strikes will inevitably prompt widespread resentment against the Obama administration turning U.S. war machinery and its allies into compelling military targets. This announcement by the governments of Obama and Theresa Mays in Britain as it relates to Yemen comes amid the intensification of the conflict in Syria. The Obama administration and its allies are still committed to the overthrow of the government of President Bashar al-Assad in Damascus. Pentagon forces bombed a Syrian military base in the east of the country on September 17 killing over 60 soldiers and wounding many others. Although the Obama administration expressed regret at the attacks saying it was actually targeting Islamic State fighters operating in the area, this explanation was rejected by the Syrian and Russian governments. Moscow is supporting the government in Damascus having been engaged in carrying out airstrikes against Islamic State fighters since the latter months of 2015. Despite Russian involvement and the diplomatic discussions between Kerry and his Russian counterpart Foreign Minister Sergei Lavrov over the last several months, relations are continuing to deteriorate. Samantha Powers, the U.S. ambassador to the United Nations, walked out of a Security Council meeting convened at the request of Russian envoy Vitaly Churkin to discuss the bombing of Syrian troops in Deir al-Zour. Since September the diplomatic efforts to end the war in Syria through the development of a comprehensive political agreement remains at a standstill. An escalating conflict in Yemen which would require intensified offshore and aerial bombardments by Washington can only complicate matters further in the Middle East. With the national elections for president and numerous congressional seats at stake, the administration is obviously concerned about its image as the source of instability and displacement throughout the region. Consequently, almost no information on the events in Syria and Yemen are placed in any significant manner before the people in the U.S. The outcome of the November 8 poll seems irrelevant as it relates to foreign policy in the Middle East and the Horn of Africa. The Red Sea and the Gulf of Aden are strategic waterways connecting the Arabian Peninsula with the Horn of Africa. Both geo-political areas are being subjected to growing militarization at the aegis of Washington. Compounding tensions in the region is the beginning of military efforts to retake the Iraqi city of Mosul which began on October 17. Mosul is the second largest city in Iraq and a protracted battle to reclaim the city by the Iraqi army could result in monumental casualties and displacement. The situation in Iraq, Syria, Yemen and Somalia are a direct result of imperialist interventions by Washington, NATO and its surrogates in the region. These military campaigns have created the most dreadful refugee, migrant and humanitarian crises since the conclusion of the Second World War.